One of the Vive’s most significant advantages over the Oculus Rift and its Touch controllers is that HTC’s headset features full 360-degree room-scale tracking right out of the box. The Rift, on the other hand, requires the purchase of an additional Touch controller with camera sensor bundle for $139 CAD. Even then, Oculus Touch only features 180-degree front-facing tracking. 360-degree tracking, which was originally only available in beta with the Rift, has not been an officially supported feature — at least not until now. 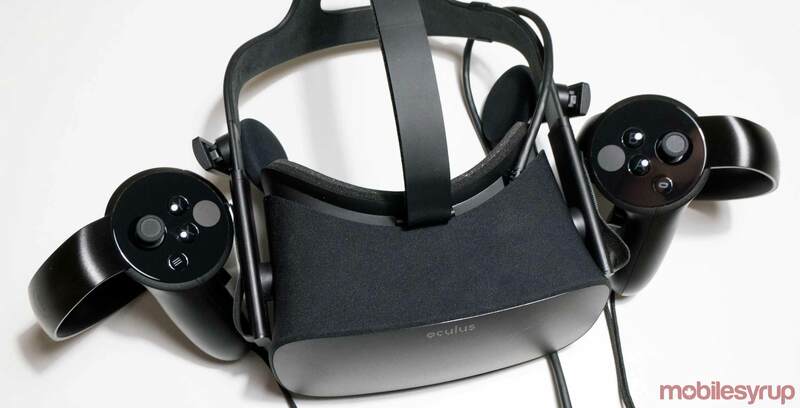 This new update adds a variety of improvements to multi-sensor tracking, according to Oculus. Other additions include a warning when the user has plugged the Rift into the incorrect GPU in their PC, as well as a new UI for helping set up the headset and a short safety video. Furthermore, three-sensor tracking is now supported in sitting and standing modes, allowing for full range VR experiences that rival what the Vive has been capable of since launch, according to early reports. 360-degree tracking with only two cameras has also been improved with this update, says Oculus. While the Rift’s three-sensor setup was competent at launch, I found it less reliable and accurate than my experience with the Vive. Hopefully, this update solves the Rift’s compatibility issues and moves its room-scale tracking features to parity with the Vive.